Home / How to offer Discounts for different combinations of Categories using Dynamic Pricing and Discount Plugin for WooCommerce? Arthur sells hoodies and t-shirts in his WooCommerce store. He currently runs a promotional deal – For the purchase of a hoodie and a t-shirt together, his customers get 10% discount from the total purchase value. The customers can choose any product from the Hoodie and T-Shirt category to avail the discount. He can achieve this with our ELEX Dynamic Pricing and Discounts Plugin for WooCommerce easily. 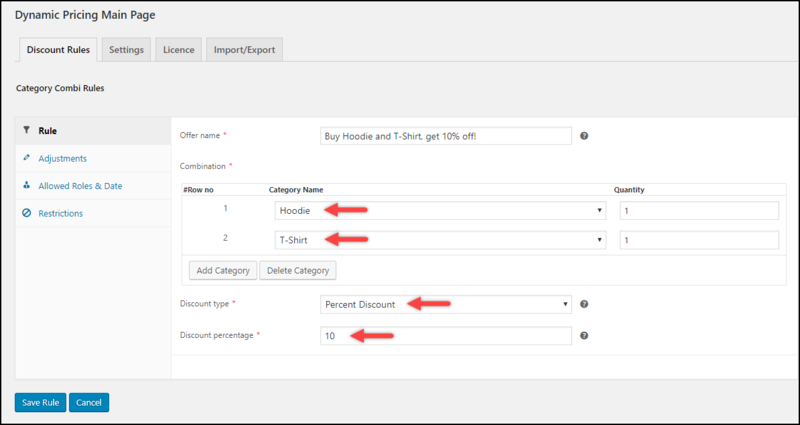 Following the demonstration shows how to offer the 10% discount for combinations of categories, that is, Hoodie and T-shirt. Open Category Combi Rules. Click Add New Rule to get started, as shown in the screenshot below. Enter offer name, select categories in combination, select discount type as Percent Discount and enter the discount value as 10. A screenshot showing the sample settings is shown below. Finally, click Save Rule to save the settings. Move to the WooCommerce shop page. First, add a Hoodie item to the cart to see if the discount is applied. 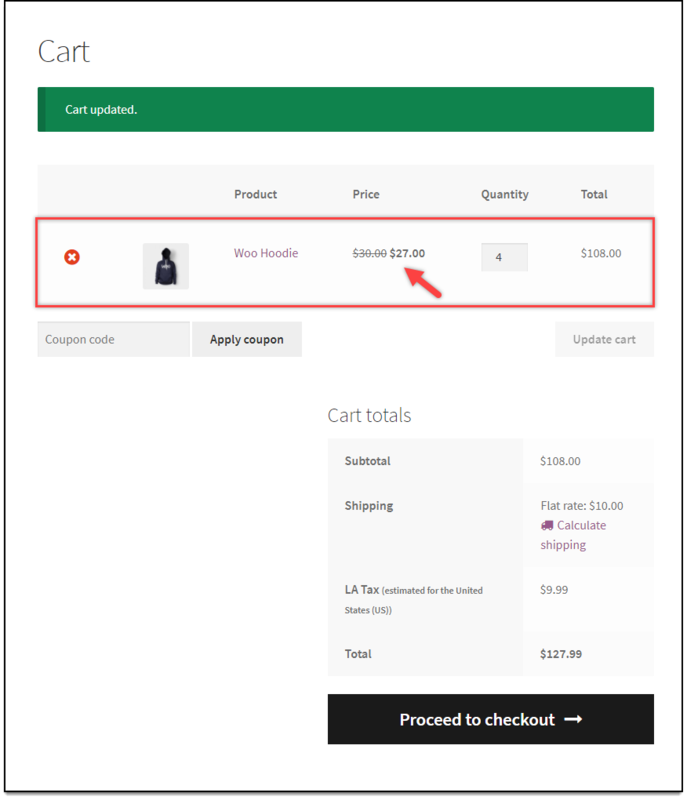 Add T-Shirt product to the cart to see the applied changes, as shown in the below screenshot. 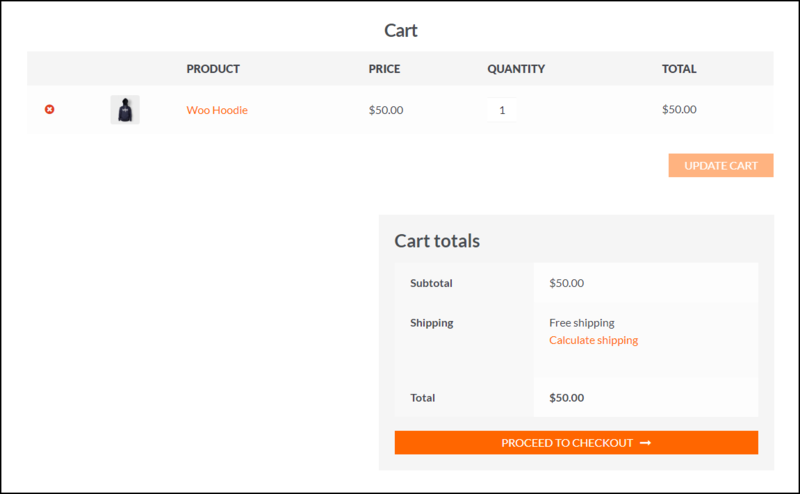 As shown in the above screenshot, the discount of 10% is applied only when items from both the categories(that is, Hoodie and T-Shirt) are available on the cart. Hence in this way, a discount can be applied to different combinations of the category using Dynamic Pricing and Discounts Plugin for WooCommerce. In addition to this, you can include other customizations like WordPress user roles, discount validity period, maximum discount amount, offer restrictions to certain email IDs or user roles, shipping methods, payment methods, product attributes, minimum order quantity, minimum total purchase amount, and a lot more! Follow the product page link given below and explore more features.